When roses come to our mind, everyone among us knows that roses have numerous varieties and a lot of different fragrances. Every rose get its own quality. Some of them are tiniest and most tender. On the other hand, some are largest and most vibrant blossoms. Every gardener suits its own taste and fragrance. He knows s better which one would suit and enhance garden beauty. 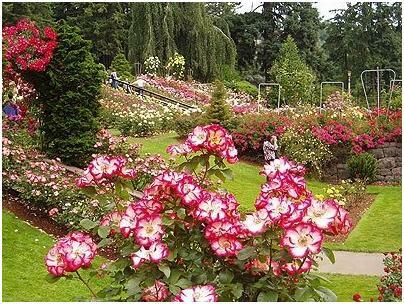 By gardener point of view, it is observed that nothing reflects on rose’s beauty but comparatively shrub roses can be looked after easily than climbing roses. 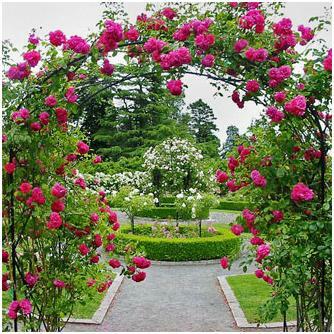 Shrub roses looks good in the land scape.With different ways, climbing roses can taste the land scape.climbing rose’s looks fascinating when wrapped on fence line or with an elegant archway. On the flower wrapped wall, the roses will attract every individual’s attention towards it. Climbing roses will provide you protection as by wrapping themselves with walls. There is a couple of shrub and climbing rose’s gardeners which may be considered due to growing season. While sitting and singing birds on climbing plant roses look heart taking and enhance your garden home beauty. F.j.Crootendorst is one considerable variety among those. This rose gets a feature of double red flowers that bloom mid season. This giant plant grows up to eight feet in height. Furthermore, it can be moved in your favorite direction or style. This rose’s nature is potted rose. It is more shade liking rose that that of others. Austrian Copper-The Austrian Copper, since more than five hundred years has been grown. This rose produces single flower with orange top and it is yellow from inner side. These good looking flowers seem to be charming in any landscape and they often bloom in early summer. Sir Thomas Lipton White-This outstanding rose creates double flower which bloom early in the season and leaves a pleasant fragrance. This plant can go up to six feet or taller, and its leaves are as beautiful as flowers themselves. The rose Burnet- This good looking rose blows in the spring or may be in the early summer. This plant emerges into lovely double pink flowers with amusing smell. Like the sir Thomas Lipton White variety, the greenness is still stunning. Gold Rush-is breath taking climbing rose variety that can grow to seven or ten feet. Just like its astonishing name, the Gold rush climber blooms splendid yellow flowers.